Omie Tillett worked on his dad Sam's fishing boat from age 10. At 20, he was escorting fishing parties out to the Gulf Stream in search of white marlin, blue marlin and dolphin. In 1951 he helped move a small, fledgling charter fleet from Nag’s Head, North Carolina to a new location that became the Oregon Inlet Fishing Center. Tillett's early decision to build boats in the off-season played a pivotal role in North Carolina’s evolution into a premier custom boat-building state. 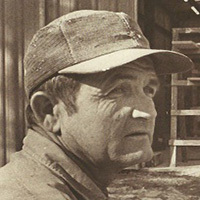 Though the entire Tillett family is recognized for pioneering sport fishing on the Outer Banks, Omie's reputation, skills and innovation drew particular note. He also started a local tradition of blessing the fishing fleet in the mornings as boats cleared the inlet.